If you’re living with an ailment that causes you significant pain on a daily basis, life can be overwhelming at times. Why suffer in silence when you deserve to live your life to the fullest? Medical acupuncture in Richmond Hill is a wonderful medicinal tool to ease your pain and restore flexibility. Acupuncture is a well-known (and well-traveled!) form of Chinese medicine, having its origins circa 6000 BCE, making it over 2000 years old! Perhaps, the stigma or uncertainty attached to this form of therapy is what deters most patients from giving it a fair shot. Many dismiss it as a nostrum with no real place in scientific fact. Does acupuncture relieve pain? In reality, acupuncture can vastly improve one’s lifestyle by combating a surprising range of pain disorders within a reasonable period of time. No longer will you have to put up with post-surgical discomfort or the harsh side effects of antibiotics. The tide against acupuncture is shifting with more and more people realizing the therapeutic results it can reap. There is a 4-6% increase every 5 years or so in the number of North Americans that approach acupuncture as a valid pain relief treatment, significantly mainstreaming it in Western circles. In this form of treatment, extremely slender needles (about 10-20) are inserted into the skin at certain points and at different depths. The primary purpose is to streamline the flow of energy (or Qi) across a network of pathways (meridians) in the body, thus relieving pain symptoms. Needles remain inserted for anywhere between 5 to 30 minutes after which they are extracted and repositioned. Do acupuncture needles cause bleeding? No, they do not. So as to avoid bleeding, the needles are carefully slid into interstitial points in the body while steering clear of blood vessels, arteries, veins, capillaries, and the likes. These needles are very fine and have a blunt tip. When this energy is balanced, ailments are cured and the patient is able to experience an elevated sense of wellbeing. 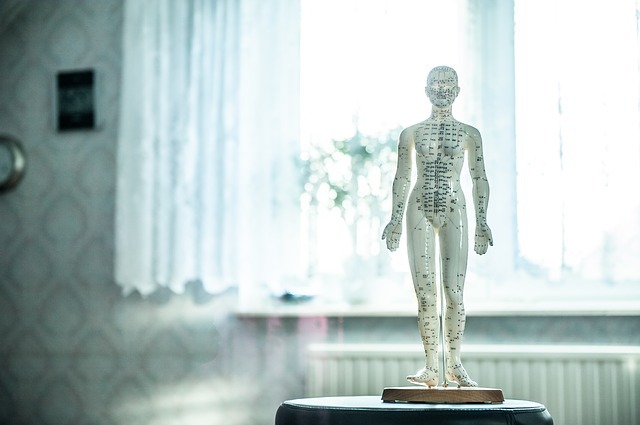 Typical acupuncture locations are muscular regions, nerves, and connective tissues – anything that needs stimulating so as to prompt microcirculation and trigger the body’s in-built painkillers. Acupuncture is still seen by many as being a placebo, rather than a scientific medical treatment. It is a form of alternative medicine. There is plenty of research out there that suggests this treatment can alleviate a whole host of pain complaints. However, it is yet to be recognized by the scientific community at large. For now, most patients use it in tandem with other types of treatments. Does acupuncture hurt? While it doesn’t exactly hurt, you might leave a session feeling, numb, sore or a slight heaviness for a temporary period. Sinus Problems: Acupuncture measures have had great success in healing sinus related disorders such as earaches, dizziness, hay fever, allergies and more. Circulation Issues: High blood pressure patients have been positively transformed because of this medical treatment as well. As mentioned before, acupuncture stimulates the blood flow and rebalances the primary meridians in the body. Gynecological Pain: Several women in North America (almost 11%) experience fertility issues. Acupuncture relieves discomfort from endometriosis, fibroids, premenstrual pain and ovarian cysts to a great degree. Emotional Strife: So great is its range of relief that acupuncture is even known to relieve anxiety, insomnia, and depression as well as other neighboring disorders that can severely debilitate the quality of life. Physical Pain Disorders: Even conditions such as lower back pain, osteoarthritis, neck pain, tennis elbow, sciatica, dental discomfort, spine problems, migraines and headaches, and knee pain meet their match in acupuncture. After their acupuncture session, some patients do report minor bleeding, bruising, tingling, soreness, stiffness, and heaviness – although all of these have proven temporary and are much easier to endure than the pain prior to the session. Since all needles used are disposable, there is no risk of getting infected. After your first acupuncture session, your therapist will be in a much better position to understand how your body reacts to the treatment and which sensitive spots are better left alone. How many acupuncture treatments will I have to undergo to see results? There is no textbook answer as this varies from one patient to the next. Each session is about 40 minutes and some patients see results after the first three sessions, whereas others feel much better after just one session. It really depends on the severity of the condition being treated. Although, patients will have to return for periodic treatments so as to experience long-term results. Acupuncture is a SAFE and Effective Treatment For Your Chronic Pain! 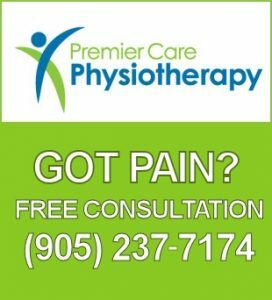 Premier Care’s licensed and skilled physiotherapists will assess your medical profile and determine whether acupuncture is the right option for you. No longer will you have to live with your chronic pain. Contact us for a free consultation today.